In a meeting last week, we discussed adoption of mobile technologies. I suggested that different folks would operate and adopt at different wavelengths. So a one size fits all expectation might not work out. Some will take a shorter focus and try to change something small without seeking a larger goal of system alignment. Some efforts will seek that broad signal and gradually move towards a holistic change. 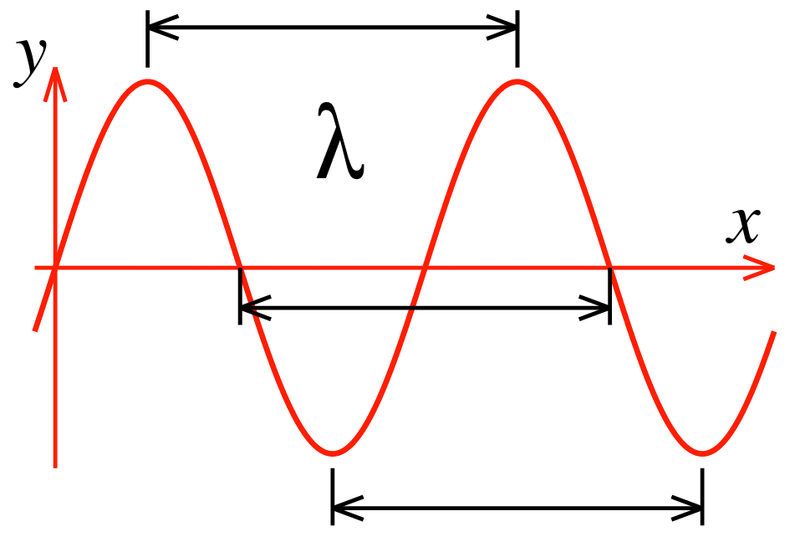 When I initially thought about it, I thought in terms of two wavelengths. The first, I thought, was evolutionary and the second revolutionary. On reflection, it really seems like there’s more to it than this. This isn’t about novel innovation for novel innovation’s sake (which tends to sound like “because it’s cool”). Think about this type of change as an effort to scale up ways of doing business that make a positive difference. Isolated transformations tend not to be aimed at long-term system change. This type of change seems to be common. Think about the small, incremental transformations you’ve seen. If these don’t lead to more holistic evolution, where do they lead? And why don’t the goals of these micro-transformations connect with more holistic goals? I imagine that the answer is that these types of changes are easier to accomplish and less threatening to organizational control structures. If I wanted to avoid changing the system, why would I make any efforts toward change? Everything is connected. Isolated transformations don’t make much sense to me. That’s not to say that hacks and smaller efforts can’t tie to a larger system goal. It’s just that usually… they don’t. If you’re familiar with e-learning deployments, you’ve probably seen insulated efforts that don’t connect or tie to bigger picture efforts. While these might be loosely tied to a business goal, they tend to be “one and done” and “fire and forget”. 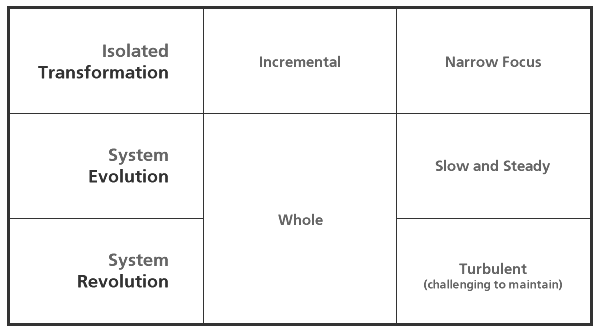 System evolution defines a tempered approach that migrates and scales organizational practices, policies, and processes toward something better. System evolutions happen over time but always start with the end in mind. System revolution is a less tempered approach that can violently disrupt a larger system to enact broad change. Like the system evolution, revolutions start with the end in mind but through the force and speed of the change can cause collateral damage to organizational structures. When systems are really broken, a revolution might be called for. In every case, successful holistic changes are driven by visionary foresight. If you’re driving toward a change, what kind of change wavelength are you on?